This recipe is simple to make, and is perfect for a side dish. You can also add greens for an amazing salad recipe. Enjoy! 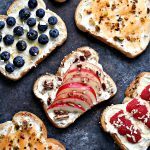 Today I am teaming up with some fellow bloggers and Kitchen IQ to bring you great recipes and a fabulous giveaway. This recipe is super simple to make. It’s healthy and nutritious, plus it’s filling. I like to throw in fun bites when making farro. 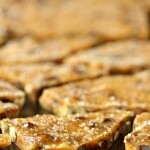 It has such a cool texture on it’s own but adding some crunch and some chew to it just takes me to my happy place. I love pistachios, I eat them almost every day. I avoid most nuts because of my IBS but pistachios do not agitate my symptoms at all. Which is lucky for me since I would have a hard time giving them up. I also loved dried cherries. The combo of pistachios and cherries is one I use a lot. I toss them in rice, farro, and baked goods. Any day where I get to combine the two is a good day in my book. We’ve been trying to eat healthier at the Beaulieu compound. I’ve been having some health issues, and we just decided to make some small changes. You may notice there’s been a few more salads on the blog. We still bake and eat like 8 years old kids on weekends, but during the week we try to eat a little healthier. It’s a good thing, and hopefully these little changes have a positive impact on my health. It’s not too shabby to be eating healthy when you get to eat pretty dishes like this one. 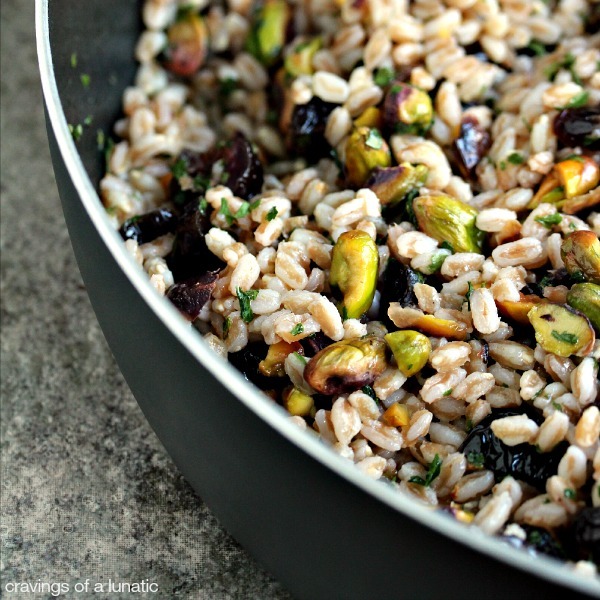 I mean who could resist this Farro with Dried Cherries and Pistachios. 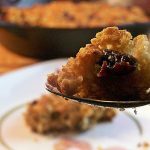 This recipe is simple to make, and is perfect for a side dish or to mix in with a green salad. Enjoy! Rinse your farro before cooking. Add farro to a large saucepan, add water so it covers the farro by about 1 and 1/2 to 2 inches, add salt, and bring to a boil, cook for about 18 to 22 minutes. Stir occasionally. You can cook it in broth for more flavour if you like, but I did this one plain. Drain and rinse with cold water. Let the water completely drain off. Place a large skillet on the stove over medium heat, add the olive oil and let the oil start to shimmer a bit. 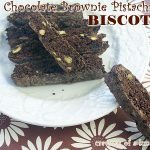 Toss in the pistachios, cook for about 3 to 5 minutes, turning them to brown them on all sides. Add the cherries, continue cooking for about 2 minutes. Add a touch more oil if needed. Now toss the rinsed and dried farro in the skillet and cook until it warms back up and everything mixes together perfectly. Add some salt and pepper to taste. You can eat this as a side dish, or a light lunch, or you can toss it with greens for an amazing salad. Serve with a big old healthy smile! This is just one of those recipes you want in your arsenal for a quick lunch or great side dish for dinner. 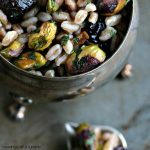 I love keeping the farro simple so the pistachios and cherries stand out. You can add vegetable broth if you want a bit more flavour. We’re hosting a giveaway of Kitchen IQ products. Check out all these amazing prizes and enter to win below! Disclosure: I received products to review from Kitchen IQ. I was not compensated for this post. All opinions are my own. As always you know I will give you the truth about things I like, and things I don’t. It’s just how I roll. I love farro just as much as quinoa! And with cherries and pistachios???? Swooning here!!! Thanks Liz. It’s really good. Hubs really liked it. He rarely comments on much but he made a point of talking about this one. I love love love farro! This rendition is totally right up my alley! Thanks Kim. It’s such a great change from rice all the time. We eat a lot of rice. I don’t think I’ve had farrow before?? But I LOVE cherries with pistachios!! Beautiful Kim! Thanks Samantha. It’s lovely, you would totally dig it. I do so little with farro, and I don’t know why — it’s such good stuff! This looks terrific — thanks. Me too. I realized I’d never posted a recipe with it. I think most of us reach for rice or quinoa. Easy to forget there’s other options. I tend to shy away from anything “grain” because of my tummy. But this wasn’t so bad for t.
Wow, this is GORGEOUS!! Your photos are stunning! I would gobble this right up, I love farro! Thanks Colleen. That’s so sweet of you. I always forget to take photos of our side dishes. No idea why. I’ve been on a Greek Salad kick lately, but that farro salad looks DIVINE! Can’t wait to try it. Thanks Kim. I used to work in a Greek restaurant so I’ve made a ton of Greek salads in my day. Greek food is amazing. Love it. The textures and flavors in this dish sound so good. And it’s pretty too! Thanks Stephanie. We love this stuff. I’m a ver this! Great recipe and I bet it was delicious. Gotta start the healthy tuff to get in shorts this summer ! Thanks Debra. Ha, I hear you. I went to try on clothes the other day and wish I had started a little earlier. Chicken, rice, and broccoli is a favorite. My favorite healthy recipe is a kale smoothie. yum! I love smoothies. I can’t eat kale though, bothers my tum-tum. Looks so delicious, Kimmy. ‘Stachios are my fav, too. We have something similar to this that we make to celebrate baby’s first tooth. Ironically that one also has candy in it! Thanks lady. Pistachios should be everyone’s favourite if you ask me. Ha, I laughed way too hard at that. Thanks Ashley. Loaded salads are the best right. I tend to love protein in mine. I love tomato and avocado quinoa salad! Oh that sounds amazing. Me likey. Would you believe I’ve never tried farro? This recipe sure gives me a great way to start! 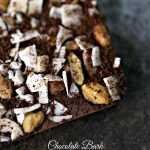 Besides all of your cool giveaway goodies your recipe looks fantastic! My favorite healthy recipe to make is hummus. Never had Farro~what is it? raisins mandarin oranges a little bacon. I have trouble with most whole wheat products. And I can’t seem to tolerate quinoa. This seemed more tolerable to my stomach than the quinoa. About the same effect as eating pasta for me. I know it’s hard to eat a lot of healthy stuff when you can’t have wheat or things that rub as they go down. My system is highly responsive to any texture, and stimuli. It’s always a gamble trying new things. We eat a lot of white rice so I wanted to mix it up a bit. I love quinoa so am trying to find something similar that’s not as painful. 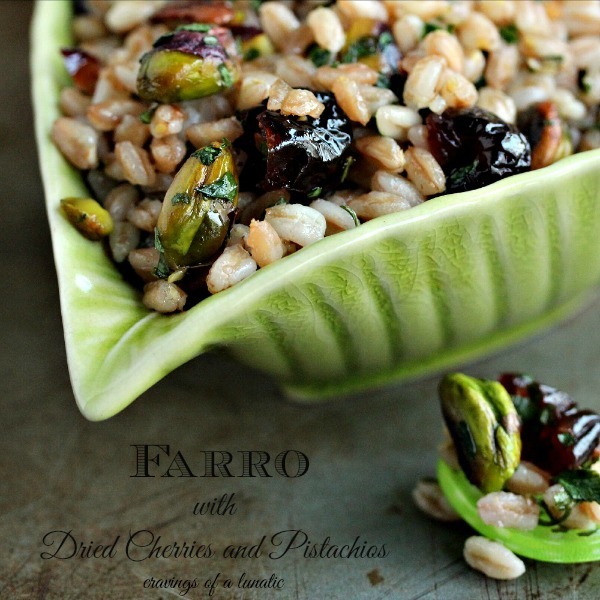 I have never made farro before but have seen a few recipes that have me intrigued. 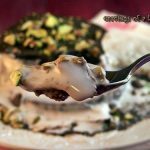 Love the dried cherries and pistachios 🙂 Also – I have to say it – I’m loving the new Healthy Recipes addition to Cravings – it’s inspiring! I’ve been doing way too much baking lately so I so need to get my act together and eat more of these fab looking salads. 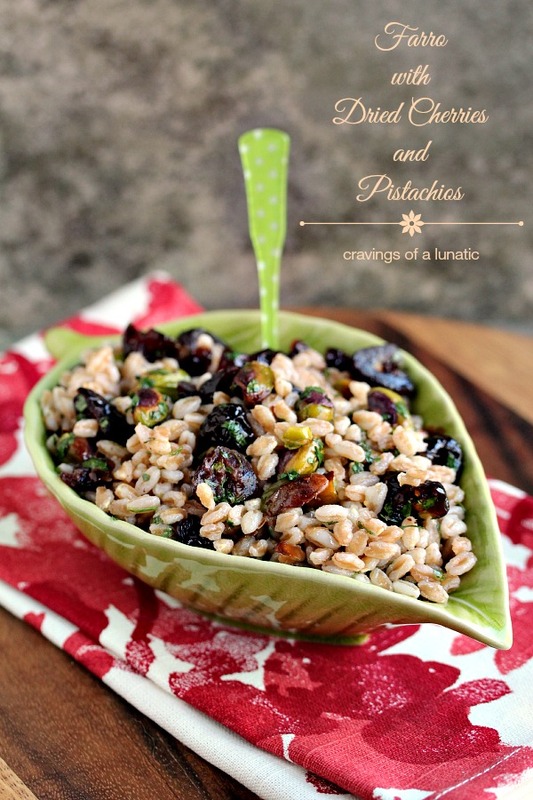 I love farro and with cherries and pistachio…. That’s gotta be a winner! We love butternut squash pizza “dough”! I can hardly stand how good this looks, Kim! The fact that you got cherries AND pistachios into it makes me swoon and drool all over the place! I like making fresh tomato sauces with lots of healthy veggies at the peak of tomato season. This recipe can easily become one of my new summer favourites! Love pistachios! Hi, this looks good. Can anyone tell me about how much this makes? How many portions? I’d like to serve at a lunch I am having for about 4 women. Hi Irene. It should feed between 4 to 6 as a side dish. If you serve this with a nice big salad or grilled chicken it’s perfect for 4.